When I grew up, I thought I was “white.” I had no idea that I was any different than every other kid in my all-Caucasian class, until the day when the racial slurs began. I don’t remember how old I was exactly, but I’m almost certain I was just in kindergarten, 5-6 years old. Then it continued everyday…. Every time I’d head down the halls I’d get a snide “Slant Eyes” comment. They’d start talking to me in “slang” Asian dialect through giggles. “Hey, Chinese!” “Where’s your chopsticks?” “Can you see like that?” “Yellow Skin!” “Go back overseas!” Trying to ignore the stares and the ugly comments, I didn’t realize then what damage those scars had on me. I can recall so many days coming home and crying myself on my bed, begging God to make me quote-on-quote “white.” Moving to a high middle-class society area in Florida did not make my life any easier. Now in middle/high school when looks were a HUGE deal, I struggled with my self-esteem. By the time I reached college, I thought for sure that Asian = ugly. By the time I dated my Caucasian husband, he had a hard time convincing me I was beautiful and that he loved me BECAUSE I was Asian. It took a long time to realize that God made me Asian for a reason. He beautifully made me this way, different from everyone else. I no longer hide behind dark sunglasses to cover my almond-shaped eyes. Asian is one of the fastest growing ethnic groups in America. Asians are the highest amount of users of the internet. I hope someone out there in the marketing world is looking at this post. I do have a voice. I can make a difference. 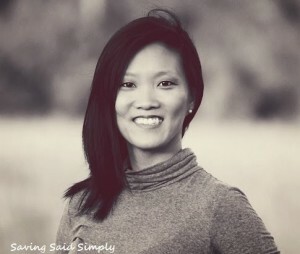 My goal of this blog is not only to embrace my Asian heritage with open arms (it has taken me many years to get to this point), but to use my Asian heritage to make a difference…in my community, in my blogging world, in my world. Accepting who I am as a beautiful Korean-American person has been a long journey. But I’m proud to say that all of those years of snide remarks have only fueled my soul so that I may now persevere to showcase Asian as beautiful, right here, right now. Well said! I can relate to you on so many levels with this one. Thank you for posting this! My son is half-Filipino, and I don’t even realize he looks “different” than a Caucasian kid, until I see him standing next to one, because I’m his mom, and he just looks like Jeremiah to me. But he may very well face prejudice one day from ignorant people, and I need to keep that in mind to help support him and teach him how wonderful he is. Beautiful! You have always been beautiful today and when I first met you back in Middle School. Keep shining! This was beautifully written and I hope you do realize just how gorgeous you are! When I took your pictures,it was impossible to take a bad one because your flawless. And interestingly enough, when I was little, I wanted desperately to be Asian because I thought (and still kinda do) that Asian women were so beautiful! What a beautifully written post! And from such a beautiful women. Glad to hear you are now embracing your heritage. Hopefully this way of thinking will be contagious to those around you. We should always appreciate each others diversity, heritage and backgrounds – and not to make fun of or discriminate. That we’re all different is what makes each of us great! Thank you for writing this powerful post. We all can identify with the personal challenge and Triumph. PS – I finally started embracing my Korean heritage when I was around 23!